Contributions are welcome. You can help in any way you want, for instance by opening issues on the bug tracker, sending patches, etc. There is also a dedicated website. Currently it only hosts a Discourse instance where you can discuss with each other. 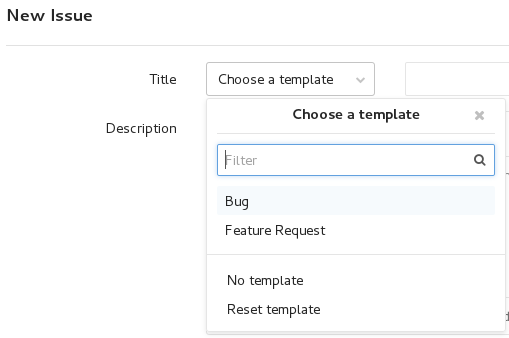 No need to create another account, the one you use in the bug tracker can be imported automatically! Feel free to use it and post your tips and remarks. You can financially support the project if you find it useful or if you would like to sponsor a feature. Details on my website. ./tools/bui-manage init-translation <country_code> # where <country_code> can be "de", "ru", etc. If you want to update an existing (and/or un-complete) translation, you probably want to have a look at the templates files. Now you can proceed the translation in the file burpui/translations/<country_code>/LC_MESSAGES/messages.po. git commit -m "<country_code> translation"
If you find any issue while using Burp-UI please report it on the bug tracker. All issues should contain the used command line to reproduce the problem, the debug output and both versions of burp and Burp-UI you are using. The template illustrate the commands to run in order to provide as much details as you can in order to help reproduce the issue. Any un-complete bug report will likely be ignored. Optionally your python version and your OS might be useful as well. Ask questions in the discussion forum. Do not use the issue tracker for this purpose. You can also join the #burp-ui room on irc.freenode.org. Burp-UI has extensive online documentation please read the doc. In case you encounter troubles with Burp-UI, you should run it with the -vvvv flag and paste the relevant output within your bug-report. Please also give the version of burp AND Burp-UI. Since v0.0.6 you can use the -V or --version flag in order to get your version number. I would like you to use gitlab for your Merge requests in order to take advantage of the automated tests I have been working on. You can login/register on my personal gitlab server with your github account. You will find any development information on the developer guide page.